Green ungrained cloth. Gold stamping on front, spine, and back. Green endpapers. 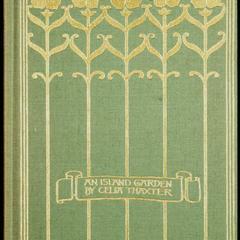 Book topics: Celia Thaxter&apos;s Garden (Appledore Island, Me. 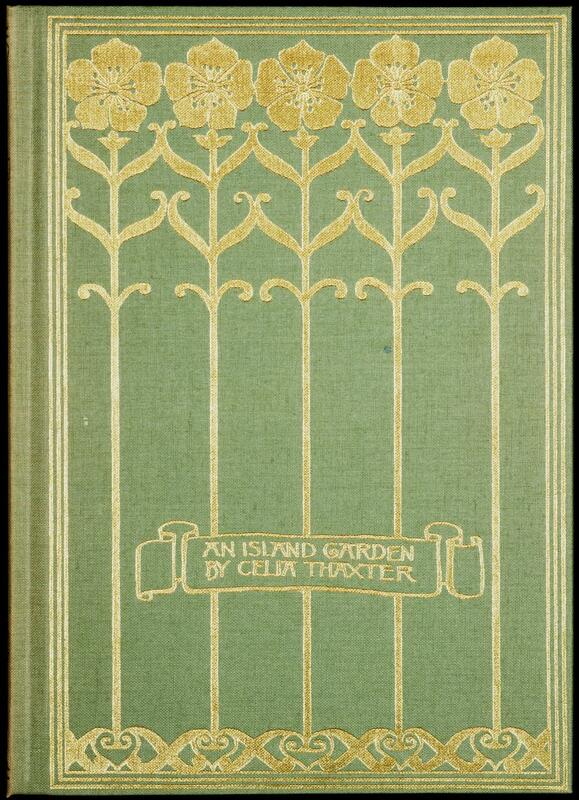 ); Thaxter, Celia, 1835-1894; Gardens--Maine--Appledore Island; Appledore Island (Me.) --Description and travel. From Minsky: Gold stamping on moss green covers, in slipcase with large paper label. Introduction by Allen Lacy. Designed by Sarah Wyman Whitman, unsigned. Height: 24 cm. ; Width: 17 cm.